Today I’m going to share our personal budget percentages and categories we track. Remember, budgeting is an exercise in prioritization. Therefore, different people will have different allocations based on their own priorities. Your budget won’t look like our budget. And that’s okay! That said, it can be useful (or at least interesting) to see what categories other people track and how they allocate their spending by category. Budgeting is just managing your cash flow. You have money that comes in, and money that goes out. Sometimes more money goes out than comes in – and that can cause all sorts of problems. Yes, budgeting is about tracking your spending. But more importantly it is deciding in advance how you are going to spend your money. Additionally, it’s about deciding to exercise constraint or make adjustments as needed to stay within the boundaries you set. About 1/2 of American’s would have a hard time covering an unexpected $400 expense. 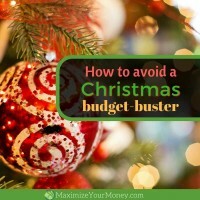 Almost 80% could not cover an unexpected $1,000 expense without going into debt. 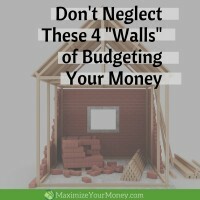 What does that have to do with budgeting? The key word to catch there was “unexpected”. Before we talk about our personal budget percentages, let’s talk about the categories. 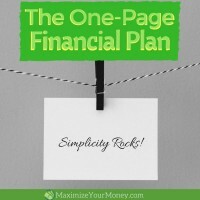 For someone just getting started with budgeting I highly recommend keeping things simple! Consequently, the fewer categories you track, the easier it is. One reason people often don’t start to budget, or they stop budgeting after a period of time, is excess complexity. It doesn’t need to be complicated. Really. Budgeting should be simple. Perhaps not always easy, but certainly the process should be simple. Especially for someone just getting started. Karla and I have been budgeting since 2003 so we’re well beyond the “getting started” phase. Over time we reached points where we wanted a deeper understanding of certain category spending. So “Entertainment” became “Entertainment: Books”, “Entertainment: Movies”, and “Entertainment: Music”. “Utilities” at some point was broken out to reflect “water”, “gas and electric”, and “phone/internet/cable”. “Grocery” is a common category for most people that catches everything purchased at a grocery store. We decided to split out “food” from “household” though. It’s a hassle going through to split up receipts, but it works for us. Most people, especially beginners, will be better served to use fewer categories – perhaps like Dave Ramsey suggests. Now check your email to download your free budgeting spreadsheets. To help make sense of our personal budget percentages, some context would be useful. We’re Christians and always tithe 10% of all income to our local church. But you may notice that we have a Tithe category that is allocated 0%. The reason is that we are early-retired with minimal income right now. We mainly live off money we’ve saved and invested (which we tithed on as we earned). When we do have additional income we immediately write a check for 10% to the church. 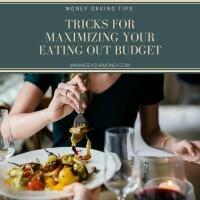 With minimal and variable income, putting anything in there would make the numbers look “odd”, so we leave it blank but handle it outside of the budget. “Early-retired and you still budget? ?” Heck yeah! Budgeting is just as important in retirement as when you are planning for retirement. Without managing your cash flow your odds of running out of money prematurely skyrocket! 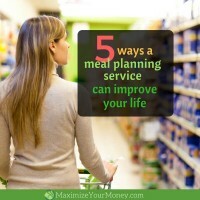 Budgeting should be a life-long habit for good financial fitness. Thanks for being patient with me. I thought the above was useful – hopefully you agree. Here are our spending categories and how we have allocated percentages of our annual spending. 0.1% Other Home Repair & Maint. That’s the reality of our spending. We track every single dollar and it goes into one of those categories. Our swimming category is the cost of attending college swim meets. Looks like a lot of money doesn’t it? Well, it feels like a lot to us too! But when you need to travel to remote states – for week-long swim meets like SEC Championships, NCAA Championships, and Olympic Trials (every four years) – it’s expensive! Other Medical includes deductibles, any medicines, things not covered by insurance (dental and vision for us), etc. Note: We’re actually a good bit under here and will likely adjust it downward next year. Gifts (others) covers non-deductible “donations”. Family gifts are budgeted, but if we help out a friend in need, that falls under Gifts (others). I think the rest is fairly self-explanatory. Do you have any questions about our budget? Why we have the categories we do? Why we allocate what we do? Or where a certain expense might fall? Just ask in the comments below. 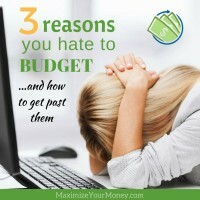 If you budget, are any of these categories drastically different from your own? It’s okay – we’re in a judgement-free zone. Like I said, budgeting reflects priorities and everyone’s priorities will vary. There is no right or wrong as long as all the numbers line up when all is said and done. Do you have a personal financial plan? Here's a free personal financial planning checklist - to make sure you have the most important financial items covered. Get it now and start checking points off the list. Awesome! Now check your email to get your personal financial planning checklist. 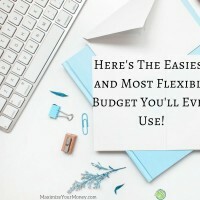 Here is the Easiest and Most Flexible Budget Ever! I love seeing other people’s budgets and how they spend their money. It was fascinating to me when I worked as a CPA and had my first million dollar W-2 client, but it’s just as fascinating to me now with people all across the income levels. I truly believe the quote “Don’t tell me what you value, show me your budget, and I’ll tell you what you value.” Yours definitely shows that your spending is in line with what you say is important to you. This is an exercise I should probably re-visit with mine. And also, that 1%+ tax prep fee really caught my eye ;). Thanks for sharing! I like that you take it down to the level of detail you did. I’m glad you attend swim meets and show your support. That’s money well spent in my opinion! Thanks Lance! Yeah, life is short so we make a bit effort to support each other – including our daughter’s athletics – as much as possible. Money well spent indeed. I like the detail of it but also appreciate showing where you choose to spend money on things other would surely think as ‘frivolous’. 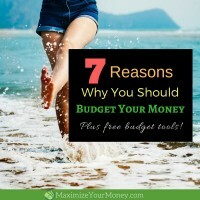 If you budget for it, have long term goals taken care of, and make enough to buy things like a yard service, hair and nails, pets, and an RV, then do it! Good stuff! I like how over time this gets more detailed…it seems like every year we add a new category or two so that we make sure we are staying completely on budget! Thanks Cameron. Yes, our categories list has gotten more and more detailed over time. I hope someday that we’ll actually combine some categories to simplify it, but right now this level of detail works best for us. It’s always interesting to see how others budget. We’ve been tracking ours for over ten years, so we have a lot of detailed categories as well. It really helps you to see where your money is going. I think it’s great that you spend your values and that you’re there for your daughter’s competitions. Thanks Gary. We try pretty hard to make sure our spending aligns with our priorities. It takes constant attention to stay on track, but well worth it. I compare our budget to the department of labor statistics with other high earners. It helps put things in perspective. Not judging but it looks like your food bill is high. Is that grocery and dining out? Yeah, our food bill is high! Nope, that’s just food. Seriously. Our dining out is a separate line item. We eat paleo(ish) so buy a lot of meats and veggies, and go organic, non-GMO, and grass-fed for the most part. That pushes up the cost for sure. Even then though I think we have some room to trim the budget there. It’s something that we’re looking at for sure. Thanks for stopping by and commenting! I really appreciate your article. My question is do you not have a household category to pay mortage or rent? That’s correct Carol – We no longer have a mortgage or rent. The house is 100% paid-for. Thank you very much for this good useful information. Please keep telling us about the new updates. I’m happy that you shared this helpful information with us. Posts on this site may contain affiliate links, at no additional cost to you, to help cover costs. Read our full disclosure here. Is It Time For An Investing Fire Drill? The information contained on this web site is the opinion of the individual authors based on their personal observation, research, and years of experience. Because each individual’s situation is different, the reader should consider working with a Financial Planner for their specific financial needs. Additionally, this website may receive compensation from the companies mentioned through advertising, affiliate programs or otherwise. Rates and offers from advertisers shown on this website change frequently, sometimes without notice. While we strive to maintain timely and accurate information, offer details may be out of date. Visitors should verify the terms of any offers prior to participating in them. The author and its publisher disclaim responsibility for updating information and disclaim responsibility for third-party content, products, and services including when accessed through hyperlinks and/or advertisements on this site.